An official warning about red Mastercard and yellow Mickey Mouse head pills has been released. The tablets, currently in circulation in the UK, are triple the strength of the average pill. 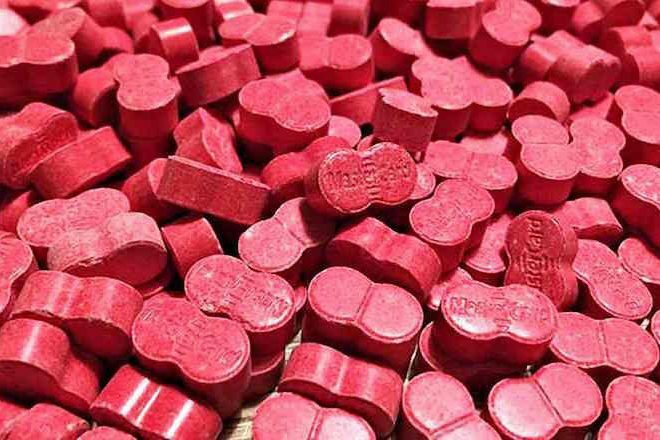 Fiona Measham of the Advisory Council On Misuse of Drugs and drugs safety organisation The Loop reports that her team found that the ecstasy tablets contained up to 250mg of MDMA, a dangerously high dose. The tests took place at Parklife festival in Manchester and have been making their rounds around the UK (and, most likely, other places in Europe). As well as being very strong, some of these pills are not pressed with a 'breakline', meaning users may not be inclined to snap the pill in half in order to take a smaller, potentially less dangerous dose. Other pills tested contained 150mg of MDMA. These were orange Warner Bros, blue Instagram logos and grey Darth Vaders. If you're out partying this week, please be very careful.